NJFC Officers being sworn in by Governor Don DiFrancesco. 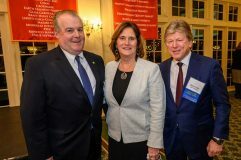 The New Jersey Food Council (NJFC) started the new year with its Annual Membership Meeting on Jan. 29 at Forsgate Country Club in Monroe Township, New Jersey. This meeting served as the start of the 2019 Schedule of Events and the kick-off of the NJFC Scholarship Program. During the meeting, the council elected officers and board of directors. The board officers who were re-elected and will continue to serve are Chair Richard Saker of Saker ShopRites; Vice Chair Mike Murphy of QuickChek Corp.; Treasurer Mike Rothwell of Pennington Quality Market; Secretary Joe Sofia of Wegmans Food Markets; Associate Vice Chair Mike Biase of Mission Foods; and NJFC President Linda M. Doherty. Also, the board of directors for 2019 was formally elected during the program. NJFC Vice Chair Mike Murphy of QuickChek, NJFC President Linda Doherty and NJFC Chair Richard Saker of Saker ShopRites. “The annual meeting serves as a great launching point for NJFC members to learn of the organizations’ priorities for the year ahead, major events and various committees in which they can participate. This event is also an opportunity for new members to gain insight into what the food council has to offer and to share government affairs initiatives that will take place in the upcoming new year,” said Linda Doherty, NJFC president. This year’s annual meeting was particularly special because it is the first event of the year in which the food council will celebrate its 50th anniversary. The event featured Keynote Speaker Jeanette Hoffman, a political commentator, who spoke on the 2019 political landscape in New Jersey and Washington, D.C. Hoffman discussed what the members can expect in the new year with national politics influencing what takes place in Trenton and the media’s role in the political division seen across the country. 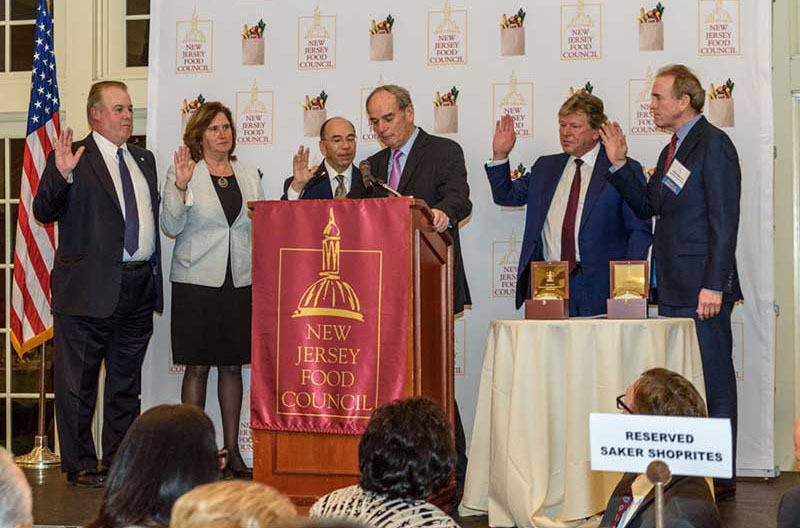 Additionally, attendees heard the NJFC Chair Report to the membership and networked with the state’s food industry executives and professionals. The NJFC is a trade association representing almost 400 companies including 1,200 retail food stores, wholesalers, manufacturing and service companies that collectively employ more than 200,000 associates in New Jersey.